At Capilano Mall Dental Centre, we take your oral health seriously. Our professionals carefully assess the health of your teeth, bone tissue and surrounding gum at every visit to identify any existing problem areas, and to educate you on how to improve the overall health of your teeth and gums. Our skilled hygienists can gently and comfortably remove plaque using an ultrasonic cleaner. It’s fast, comfortable and incredibly effective. At Capilano Mall Dental Centre, we offer oral cancer screenings using the safe and revolutionary handheld VELScope system. Oral Cancer can be a potentially deadly type of cancer but if identified early eough, the survival rate for patients with oral cancer is 83%. Our dental professional’s put a strong emphasis on regular visits and in turn early oral cancer detection. VELScope technology works by shining a blue light into the mouth, highlighting any abnormal lesions or tissues that could be a cause for concern. The exam lasts for all of 5 minutes and is completely painless. Visual Screening – Our experienced professionals are highly trained to be able to identify when you may be at risk for oral cancer. This screening is part of every oral hygiene appointment. In-depth Screening – We utilize professional grade equipment to seek out cancer risks and diagnosable identifiers. Biopsies – A biopsy is an interventional test completed by removing cells or tissues from the area in question in order to be examined and appropriately diagnosed. At Capilano Mall Dental Centre, we care about your oral hygiene and your overall well-being. We recommend regular visits so our skilled hygienists and dental professionals can ensure your oral health is in good standing and not affecting your overall health. 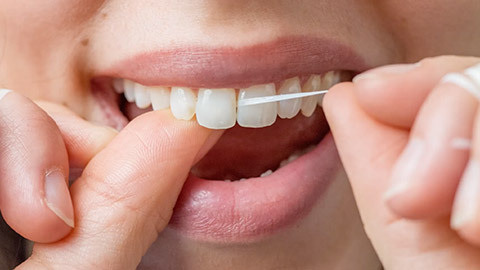 If you need more information about Oral Hygiene/Cleaning in North Vancouver, contact us today.